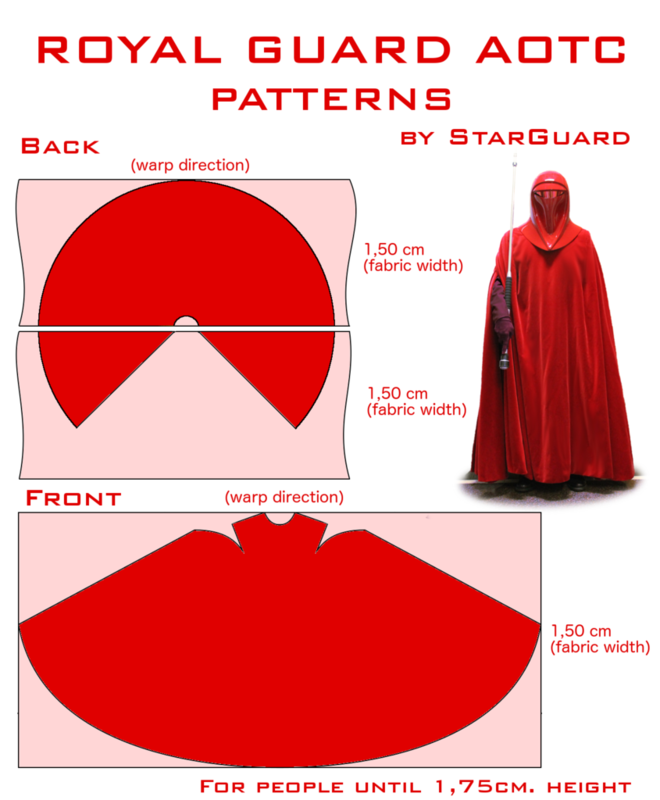 Hello guys, on another thread, this pattern (viewtopic.php?f=26&t=1977) is suppose to show a pattern for the AOTC robes. Sadly, Photobucket requires a paid account nowadays to share on 3rd party site like this. As the thread is locked, I couldn't reply on it. Dose someone has the pattern on a different media support ? 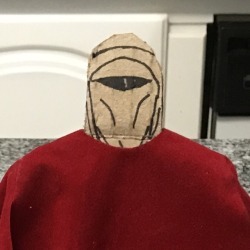 Since I am making my own Royal Guard, and had not decided on what version to do, I made some templates of my own that I am working on, since I've seen many that look kinda like a giant red tube sock, and I get it, making a circular cape takes up a lot of fabric, but it's a matter of proper draping. Also have in mind that velvet is a fabric with nap, this means the fibers have direction. check out any Sewing velvet tutorial on YouTube prior to cutting your cloth. I'm still figuring it out myself. Here you go. Good luck! 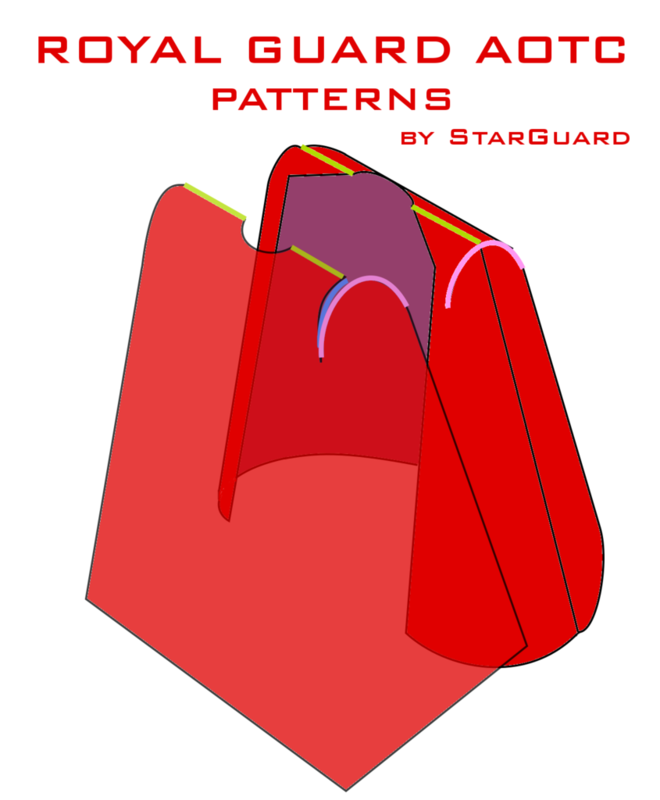 As I said before, specially with this pattern. Be mindful of the fabric nap. Personally I think this pattern does have nap in consideration. But it is what it is. While these are great work, the layout does not account for the natural grain and pile of the fabric and will result in robes that do not have a consistent appearance. All sections need to be cut in the same direction of the fabric grain/pile to avoid this issue. Please be careful in this as this is a very costly error that people have been denied membership over. So, I can't seem to find Accurate information. 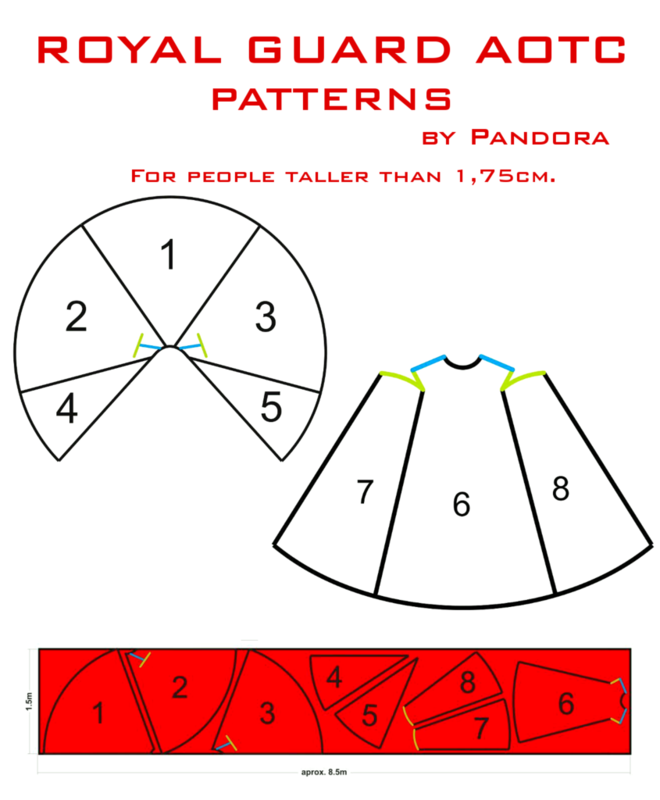 I've heard that the different movies will have different ways to sew the pattern together.. Such as some have a single arm hole and some have two. I'm actually working on the TPM Blue Senate Guard. It seems they have two arm holes, but I can't seem to find a pattern for that one.. Anybody got any good info? I'm having a seamstress work on my TR-ROTS robes and let me tell ya, finding patterns can be a real pain. Mostly because there isn't one that everyone agrees on. Looking at previous posts on the subforum, I could see multiple ways people put their outer robes together. What I did was essentially bring as many reference pictures as was relevant to my seamstress, talk it out with her and attempt to do a mockup for critique here before investing in the actual velvet. Its handy that the TR-ROTS CRL requires an outer robe lining of the same material as an inner robe.... we're just going to stitch the lining first, get critique and an ok, and then go nuts with the velvet.